When Janice Chen slipped her tiny head into the big groove of a huge lion mask and swayed to drum beats on Monday morning, she knew she had smashed the glass ceiling and roared into a two-century old male domain. Chinese New Year, the onset of which is believed to bring prosperity to the community , has catapulted 30-odd young Chinese girls belonging to Fa Mulan, the only girl group that performs lion dance at the new-year celebrations, to fame. 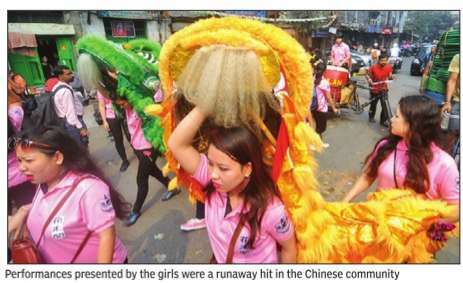 Named after Chinese legend Hua Mulan, a female warrior who had replaced her father in the army and fought for over a decade, the girls on Monday performed in front of homes, eateries, shops and other Chinese establishments in central Kolkata to ward off bad luck and bring good times. “It is a great feeling to be the lioness,“ smiled Janice, 20, before her group started from the Seaip Church, nestled in the congested central Kolkata opposite Tiratti Market, where they had been practising dance moves for the past few weeks. “We are as good as the boys. Members of the community are happy when we show up outside their homes and give us goodies. This encourages us,“ said Janice's friend Anette Chen in the group. The group, dressed in pink T-shirts and blue denims, mounts a drum on a cycle van. Two girls board the van and start beating it. As if on cue, Janice and her friend Anette Chen slip into two giant lion masks and start swaying, sometimes doing martial arts moves. A crowd of more than 100 people follow them through the narrow serpentine lanes witnessing the girls take over what was always a “guy thing“. 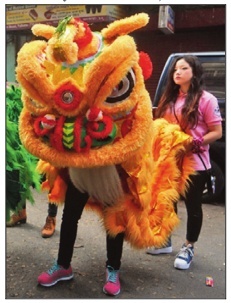 The lion dance has been a male domain since the presence of the Chinese community in the city but it is only very recently that Chinese girls have breached this territory. Members of the community attributed the trend to large-scale migration of Chinese youths from the city for jobs and education. “There are very few young Chinese men left in Kolkata.In most processions, there are people from Nepal and the Anglo-Indian community . The girls have stepped in to carry on the tradition,“ said a senior member of the community . Every performance lasts 10 to 15 mi nutes, after which the group moves onto the next house. Chinese people hang goodies from their windows which the girls lunge with agility and catch. “Lions are known to bless the homes at the start of the New Year. People in the community were not used to an all-girl troupe coming and blessing the home.But that is changing now,“ said Dominic Lee, who played a big role in forming the all-girl group. 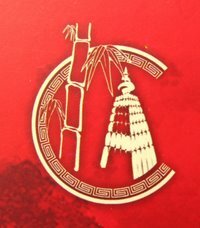 Lee is also the founder of the Indo-Chinese Association. Members of the Chinese community in the city recall that girls started parti cipating in lion dance almost 10 years ago but they were not organised as a group.They would be part of several other groups. Fa Mulan brought the girls together.From beating the drums to dancing the lion to fireworks, the girls are self-sufficient in every aspect of the tradition. Each Chinese New Year is characterised by one of 12 animals that appear in the Chinese zodiac. This is the year of the `Monkey' and people born in the Year of the Monkey are believed to possess wit, mischief and charm. Kung Hei Fat Choi (wishing you happiness and prosperity in the New Year).